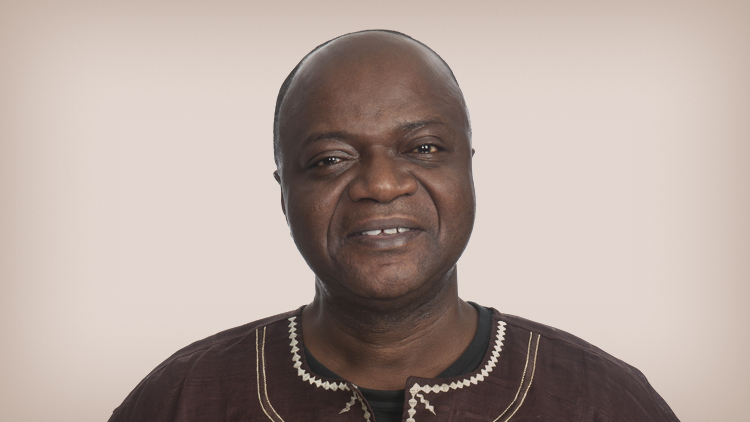 Renowned educator, researcher and writer Dr. George Sefa Dei, considered by many as one of Canada’s foremost scholars on critical race and anti-racism studies, will deliver the ninth annual StFX Agnes Calliste African Heritage Lecture on Feb. 28 in the Schwartz Auditorium starting at 7 p.m. The title of Dr. Dei’s address is “Black Like Me: Reframing Blackness for Decolonial Politics.” Everyone is welcome to attend. The annual lecture is organized by StFX’s Department of Sociology in honour of the late Dr. Agnes Calliste. Dr. Calliste, a retired StFX sociology professor, left an impressive legacy at the school where she taught for nearly 30 years. She passed away in 2018. Dr. Calliste’s scholarship focused on the complex interrelation of work, race, ethnicity and gender in Canada. Her ground-breaking research with African-Canadian railway porters and Caribbean-Canadian nurses explored previously unexamined dimensions of our social history. Dr. Calliste studied not only the institutionalized oppression of such communities, but also their organized resistance. “Dr. Dei’s scholarship has shaped anti-racist education theory and praxis in Canada and internationally, and has informed curriculum here at StFX,” says Dr. Katie Aubrecht, sociology professor and Canada Research Chair, Health Equity & Social Justice at StFX, and one of the event organizers. Prof. Dei’s professional and academic work has led to many Canadian and international speaking invitations in the U.S., Europe and Africa. Currently, he is a professor of social justice education and Director of the Centre for Integrative Anti-Racism Studies at the Ontario Institute for Studies in Education of the University of Toronto. He is the 2015, 2016 and 2018 Carnegie African Diasporan Fellow. In August 2012, he also received the honorary title of ‘Professor Extraordinarire’ from the University of South Africa. In 2017, he was elected as Fellow of Royal Society of Canada, the most prestigious award for an academic scholar in Canada. He also received the ‘2016 Whitworth Award for Educational Research’ from the Canadian Education Association awarded to the Canadian scholar whose research and scholarship have helped shaped Canadian national educational policy and practice. He has authored, edited and co-edited over 35 books. He also has over 75 book chapters and 70 refereed journal articles to his credit. Finally, in June 2007, Professor Dei was installed as a traditional chief in Ghana, where he was born, specifically, as the Gyaasehene of the town of Asokore, Koforidua in the New Juaben Traditional Area of Ghana. His stool name is Nana Adusei Sefa Tweneboah. Dr. Dei’s address engages a [re]theorization of Blackness and Black solidarities from the vantage point as a Black/African scholar with a politics to affirm Black subjectivity and Indigeneity in a diasporic context.